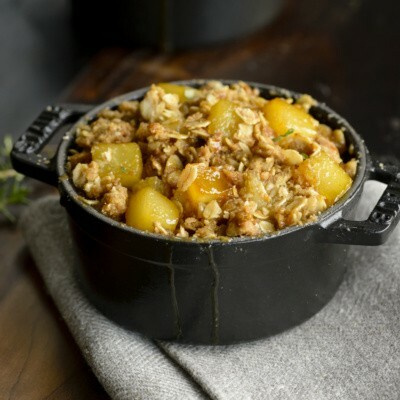 This simple, tasty pear recipe was created by Chef Jamie Lauren of Absinthe Brasserie and Bar in San Francisco and cookbook author Mollie Katzen. If you can’t find Bosc pears at your local grocery store, red or green Anjou pears also work well. To prepare pears, melt butter in a large skillet over medium heat. Stir in spices and cook for 30 seconds or until aromatic. Add pears and cook for 15 minutes or until tender, stirring frequently. Stir in lemon juice. Serve with nonfat vanilla yogurt or frozen yogurt and top with walnuts. This is one of my favorite winter desserts! 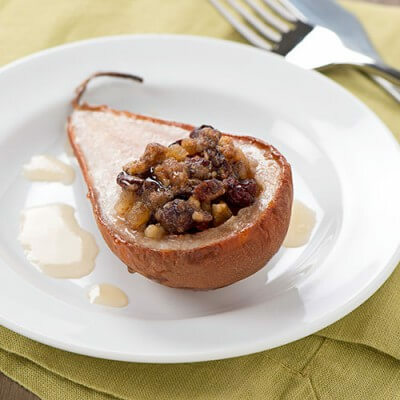 These sauteed Bosc pears are so delicious in a bowl of chilled almond milk. I like to add a little dried ginger to my pears, too. So healthy and simple!